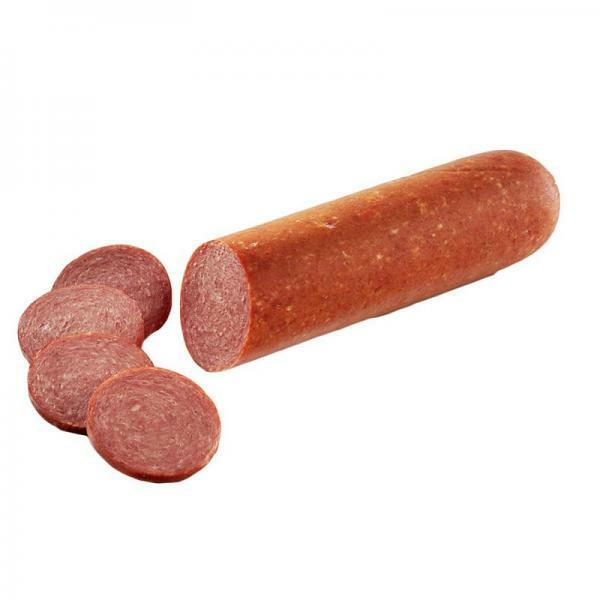 Cervelat is a cooked sausage usually made from a mix of beef, bacon and pork meats. Its slightly smoky aroma is balanced with a classically gentle flavor of the meat. Delicious as a snack, on a sandwich or as a part of an omelette. Excellent taste,all our family and guests love this cervelat and we keep ordering it.